In the US, there is a gigantic supermarket seemingly everywhere you look. A Wal-Mart Super-Center on one corner, a Costco on the other… but it wasn’t always this way. 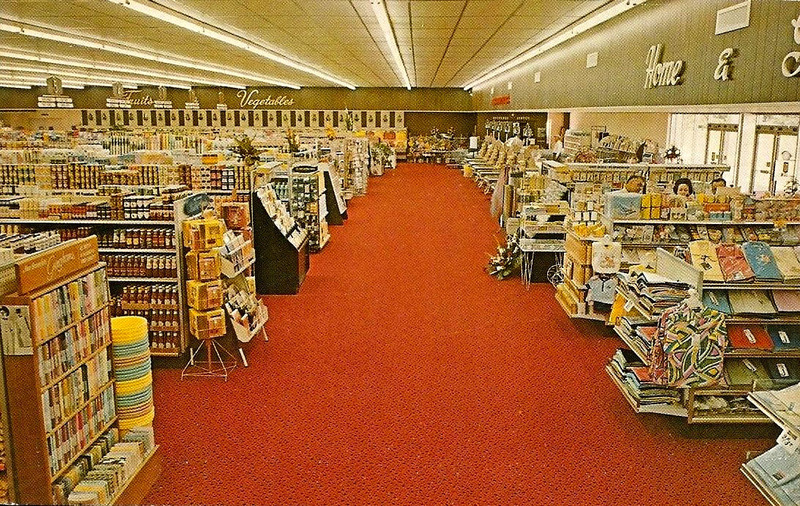 The transition from small town grocer or big-city corner market to the massive mega-stores of today took decades, and the ramifications changed our world more than you might think. 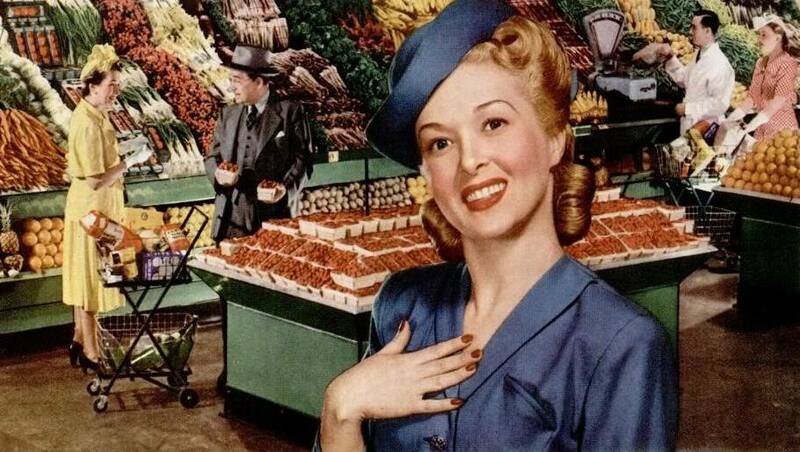 At the start of the twentieth century, grocery shopping meant walking up to the counter and telling the store clerk what you wanted. It also meant going to several different establishments to get what you needed: the butcher, the general store, the baker, etc. 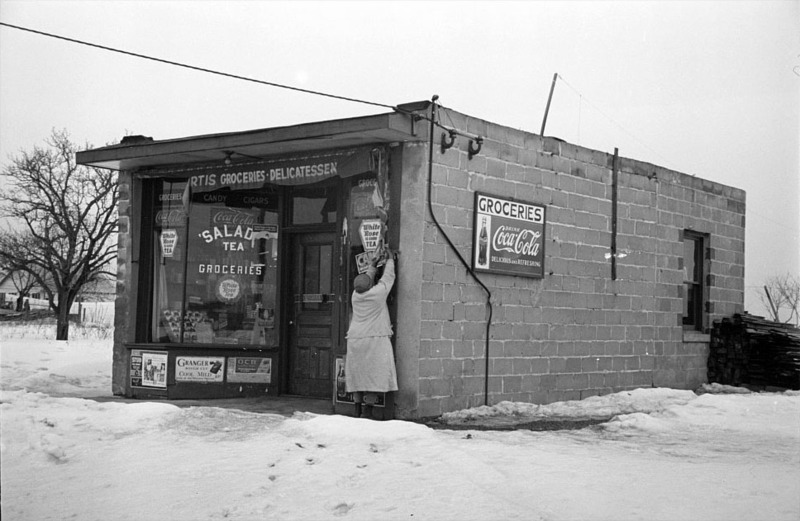 The “self-service” grocery store, where you could pull items off the shelf yourself, and had a bakery, butcher shop, and general store all in one place, didn’t come along until around 1915. Vincent Astor sunk a lot of money into his vision of the new food market on Broadway, but it was an abysmal failure. In 1916, Clarence Saunders brought Piggly Wiggly to the waiting world. It was a big success, and more franchises soon followed. 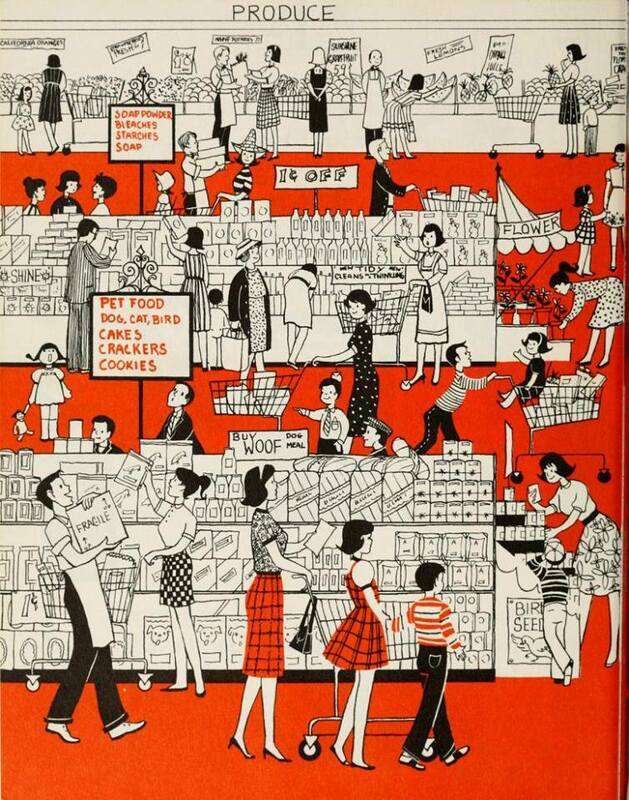 But these were still just grocery stores – not “supermarkets”. Kroger, Ralph’s and Safeway were quick to follow King Kullen’s lead; with Kroger being the first to surround its store with a big parking lot. 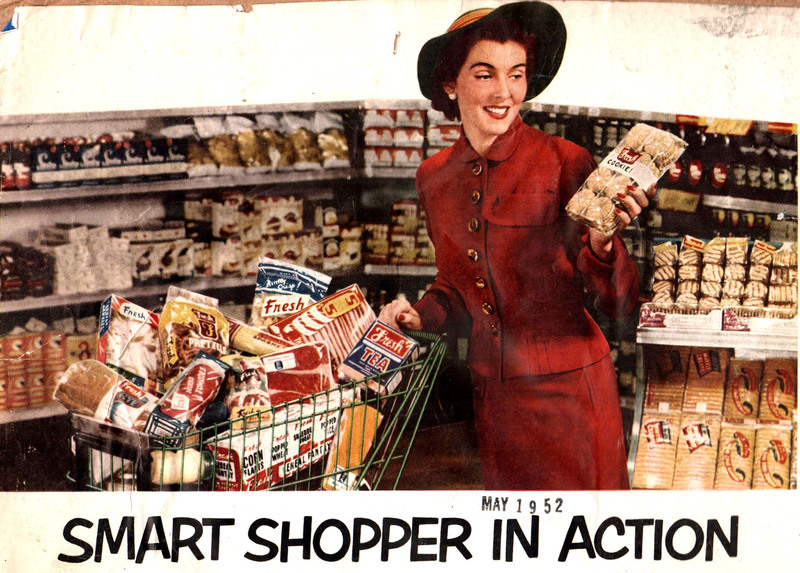 The Great Depression actually helped spur supermarket growth since the prices could be reduced. 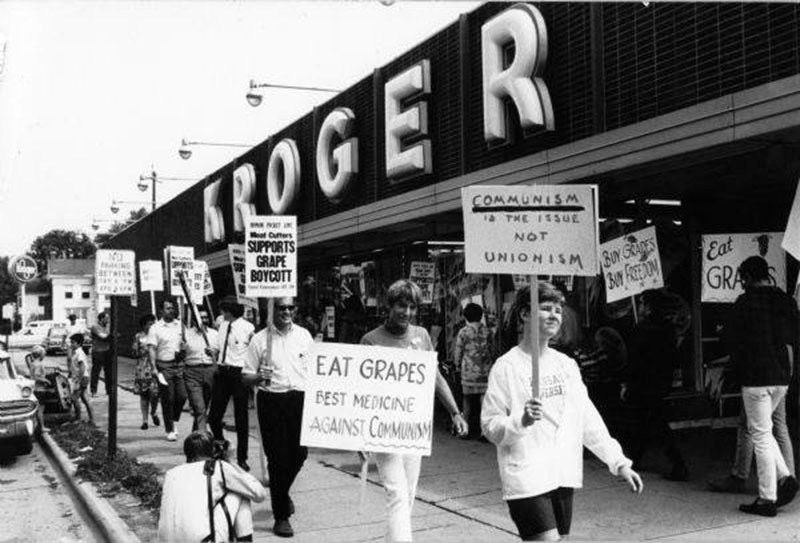 There was a natural public backlash since “mom and pop” grocery stores were being run out business, but the spread of supermarkets continued unabated. 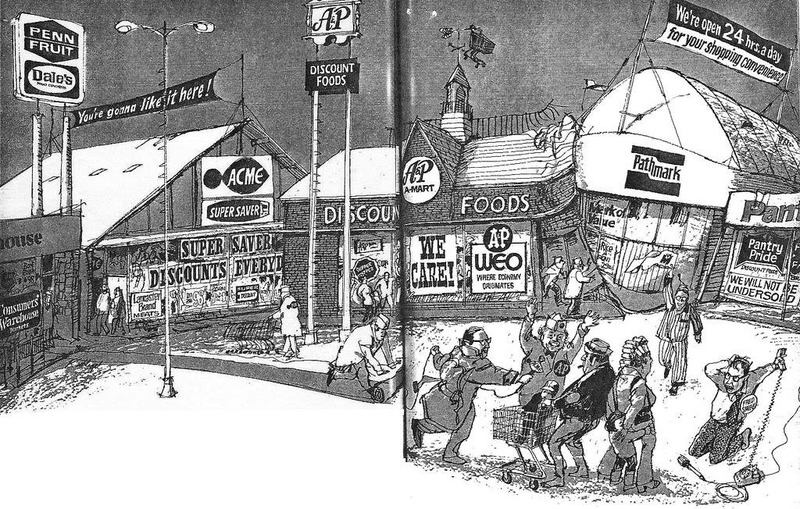 The wave of new supermarkets, each bigger than the last, is the object of jest in this Woody Woodpecker cartoon. And so, here we are in Mid-Century. The war is over and the US economy is skyrocketing through the stratosphere. 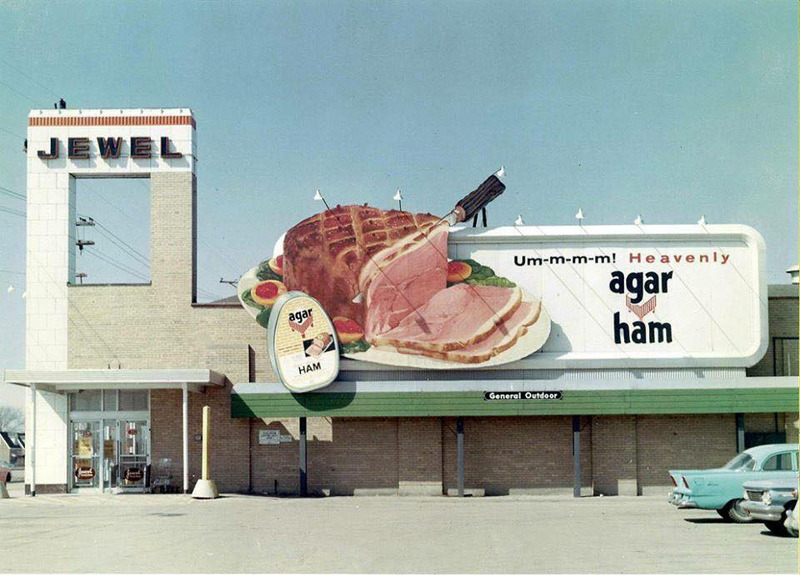 The supermarket was perfectly at home in booming Cold War America. Obviously, the “high tech” method of getting groceries to your car in Bryson’s home town was not the norm. Bag boys did the job just fine. 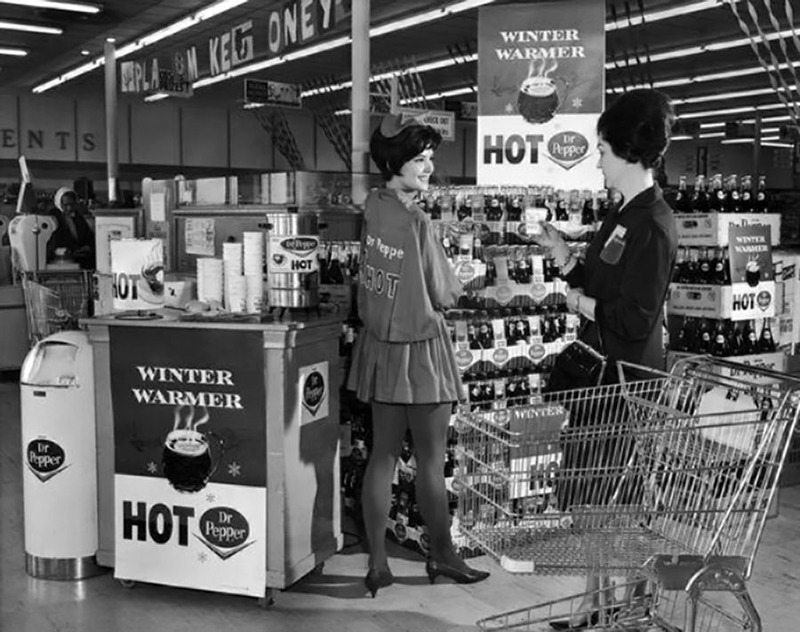 For more on ways supermarkets have changed, see: Supermarket Makeover: 9 Ways Your Old Grocery Store Has Changed. 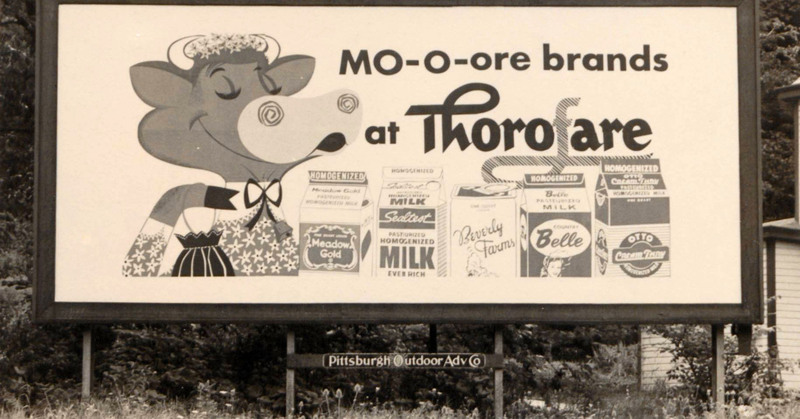 The supermarket was the “land of plenty” – a far, far cry from America’s hand-to-mouth early days. In a way, The Beverly Hillbillies were America – pioneer stock suddenly finding themselves in a post-war economic and technological boom. 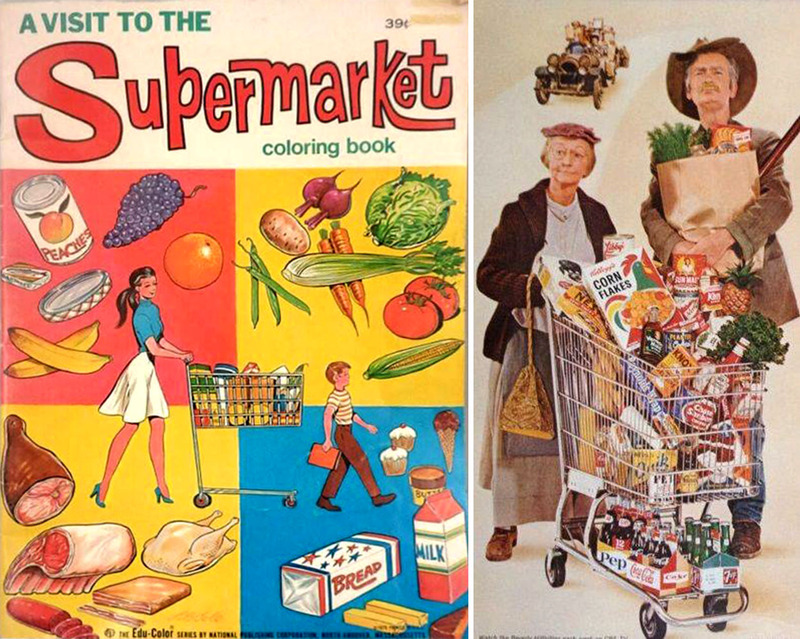 Throughout the ‘50s, the supermarket proved itself an American phenomenon, Stanton says. 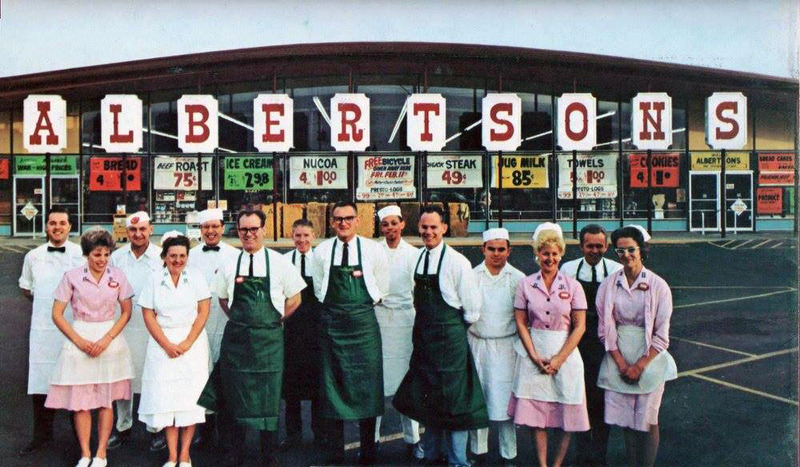 It was such a marvel that in 1957, during a visit with President Eisenhower, Queen Elizabeth and Prince Philip visited a Maryland grocery store for 15 minutes to see what it was all about. Perhaps the biggest change to spring from the “self-service” format was the sudden importance of branding and marketing. When it was just your local grocer or baker pulling items from their inventory, there wasn’t much in the way of customer choice – certainly little opportunity to entice customers with advertising and slick packaging. 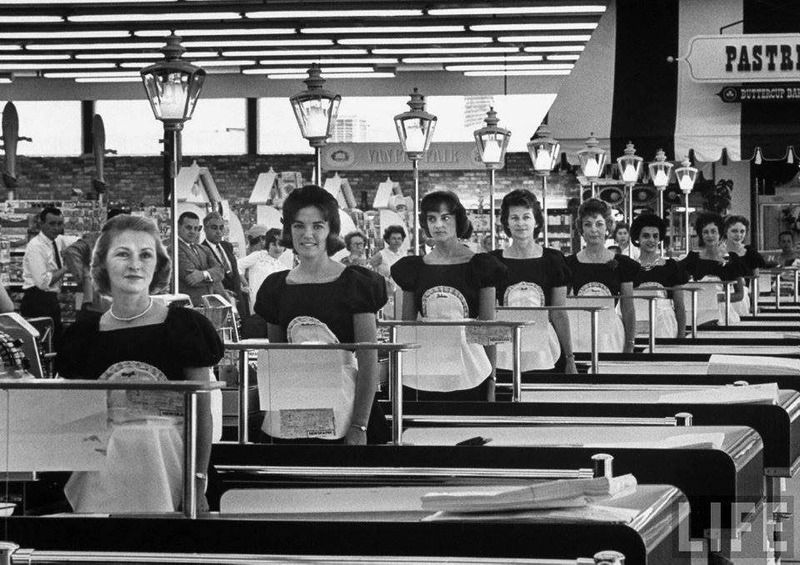 Once customers were permitted to roam the aisles, grazing in the open market, the rabid frenzy of marketing began. 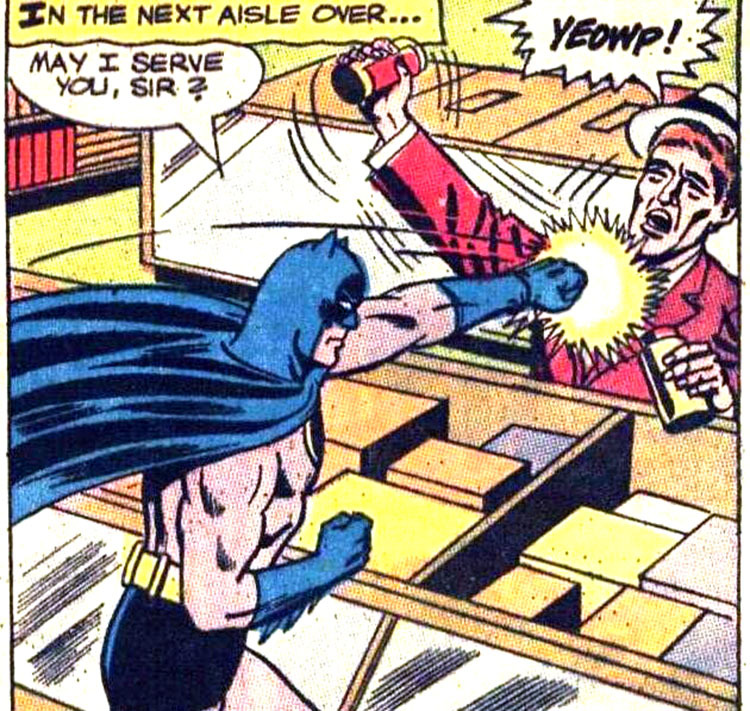 That little step of changing the order of business at the grocery store (i.e. 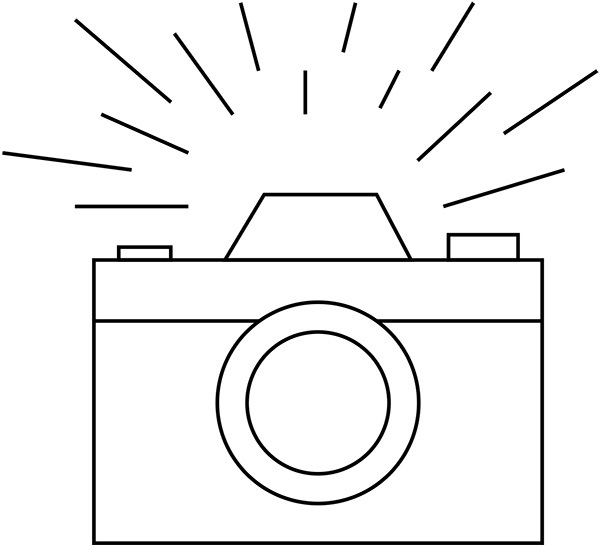 going from customer-grocer-product to customer-product-grocer) changed the world as we know it. Now, with the freedom to make selections ourselves, we are bombarded with advertising and packaging to “help” us make that choice. 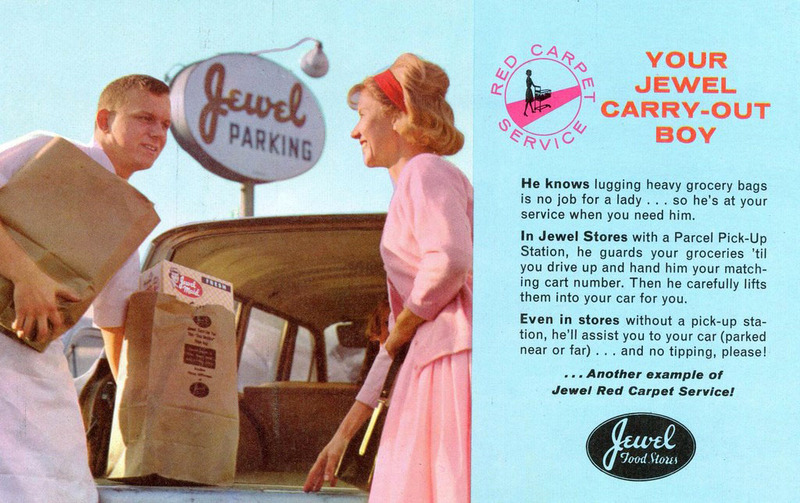 Of course, all the targeted marketing was almost exclusively geared towards women. While women hadn’t achieved equity in the workforce – not even close; they had the power of the family pocketbook. 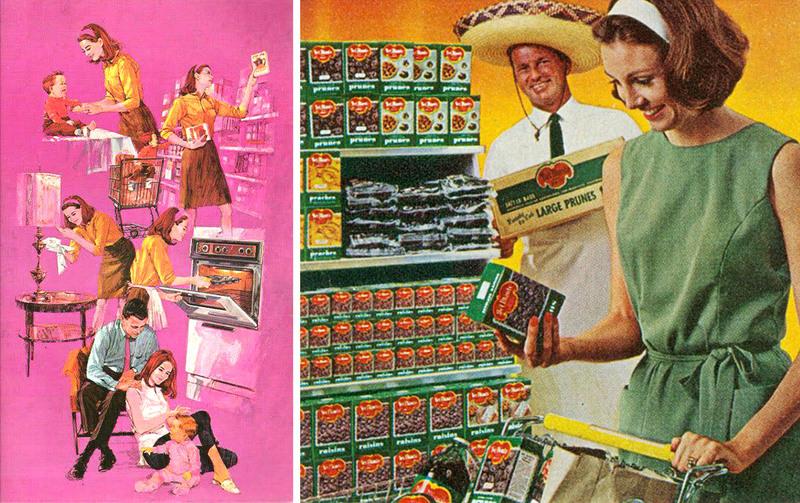 Thus, it would be fair to say that the Mid-Century supermarket was designed with women in mind. 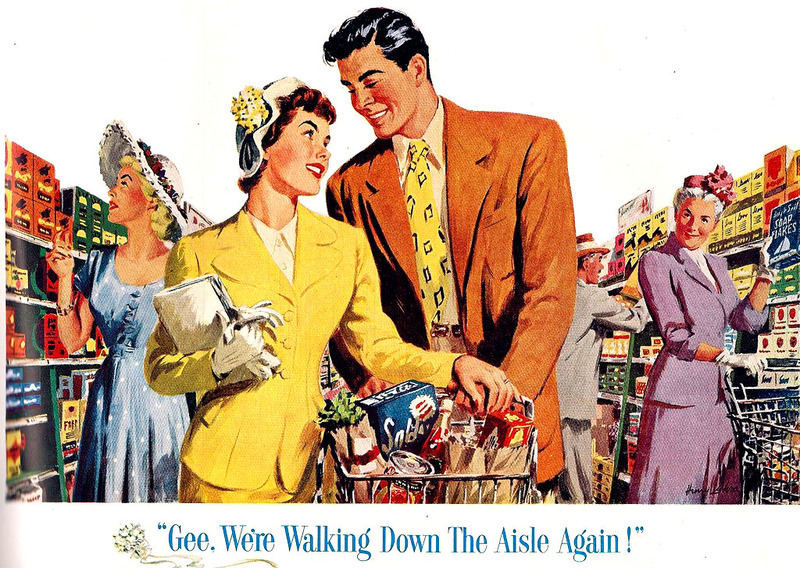 While today, grocery shopping is roughly equally divided [source: Women and Men Now Grocery Shop Equally] – not so, back then. 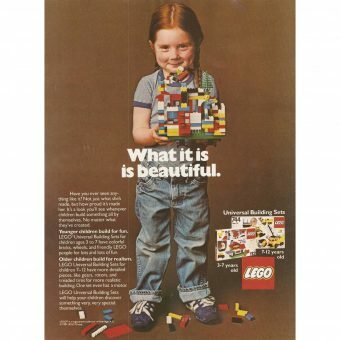 This was the domain of women, and supermarkets bombarded their primary consumer with ads in women’s interest magazines. In the 1950s, Americans began moving to the suburbs in droves where an entirely new ecosystem was born. The race was on between all the major supermarket companies to stake their claim to the seemingly endless new suburban communities that popped-up from coast to coast. 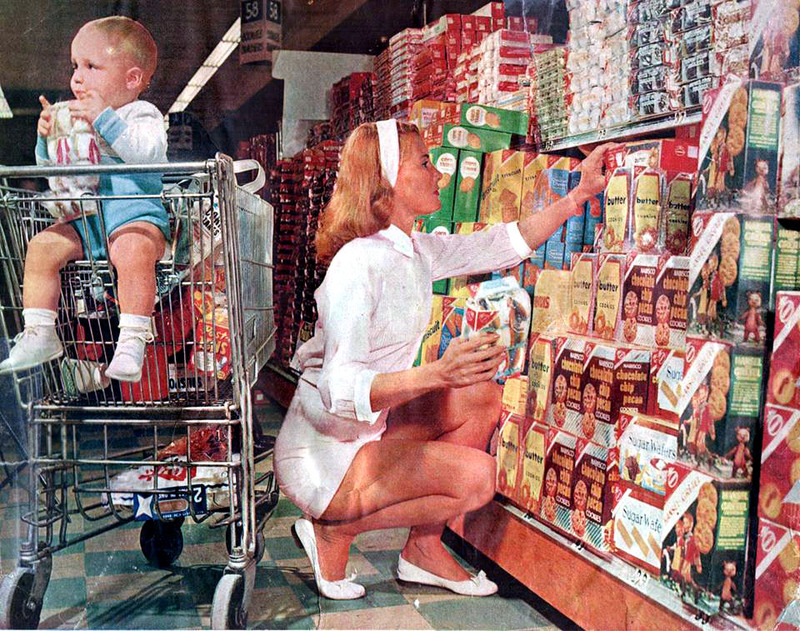 The post-war nuclear families had plenty of disposable income to shell out on groceries, and the homemakers poured into the supermarkets by the millions. If a supermarket chain didn’t act quickly to capitalize on this tidal wave of opportunity, you could kiss your franchise goodbye. 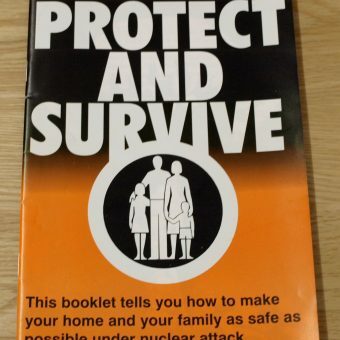 But as with so many other things, the 1970’s was the period where the walls came crashing down, and the Mid-Century Dream went up in a puff of smoke. 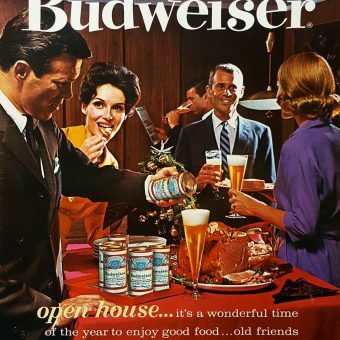 Not only did the economy take a dive in the seventies, but the culture also changed dramatically. People didn’t want all the amenities of the “Golden Age”, or at least felt that losing them was a small price to pay for discounted prices. 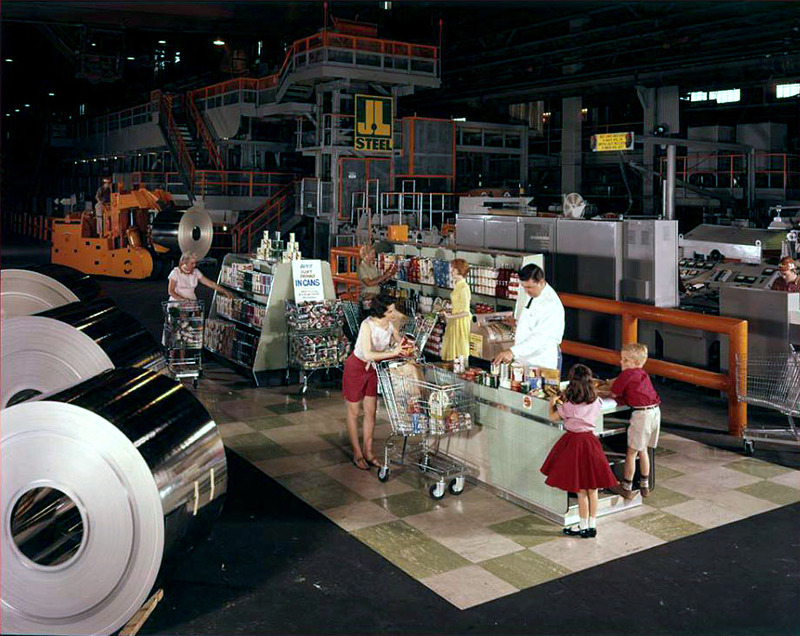 Gone were the “Kiddie Corrals” and proud subterranean conveyor belts described by Bryson – it was “no frills” time. To keep prices down, there were a ton of layoffs – no more happy bag-boy with clean white apron. Again, it was “no frills”. 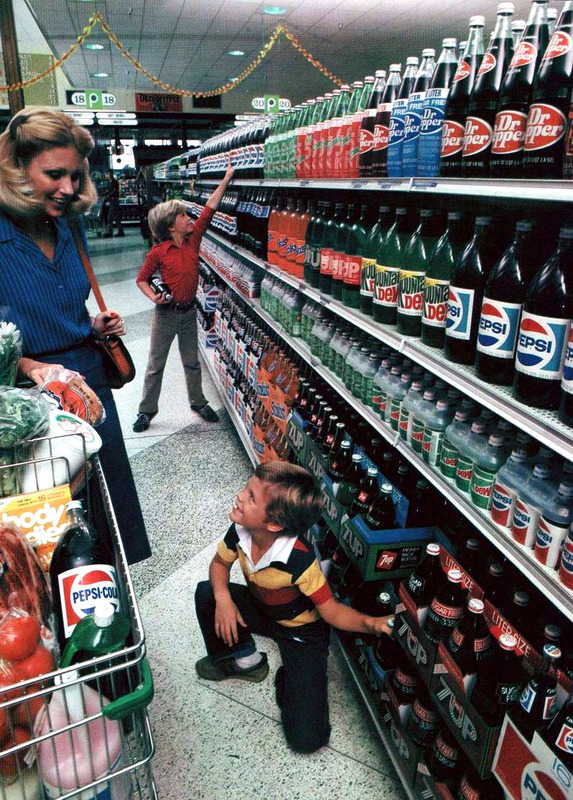 Worse, the seventies and following decades were marked by an endless series of mergers and store closures. Kroger slimmed way down, and Safeway also took steps backward – retreating and ceding the field to larger, publicly traded companies. 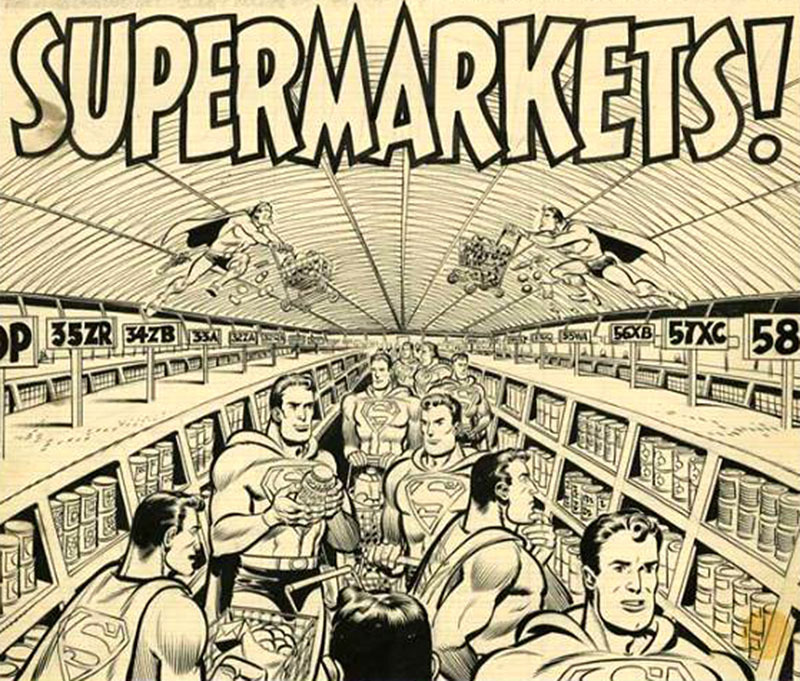 Supermarkets weren’t so super anymore. It was undeniable – the mojo was gone. 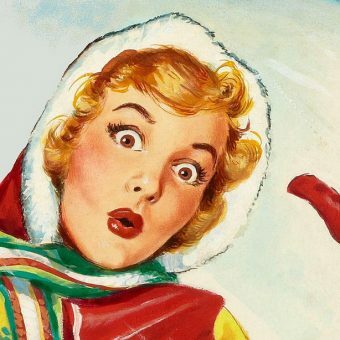 For the first time, you started hearing things like: “I wish we could go back to the old days with the corner grocer” – an unthinkable idea just a decade prior. Cutting staff meant no friendly neighborhood butcher; it meant long lines at checkout; it meant no “Kiddie Corral” so now you’re stuck with Junior who’s a terror in the aisles. With no “Kiddie Corral”, companies could now target kids directly; not-so-subtly getting kids to add items to the cart that weren’t necessarily on the grocery list. Indeed, the whole positive vibe was gone – in its architecture, its attention to detail and decoration. Gone. With the nineties came an entirely new dimension: the hybridization of general merchandise with groceries. Warehouse style stores such as Wal-Mart and Costco took the cost-saving “no frills” to the next level, and the rest, as they say, is history.